I thought it a fitting photo to share in lieu of our recent mud-hole adventure. This is the original MudFest. The four in the photo, if you don’t recognize them under the dark layers, are Yours Truly, Kate (my Adventure Pal), and two mischievous gents from Northern Ireland. We worked with them at camp for the summer before Kate drove them to the Vancouver airport, spending a night at my parents’ place on the way. Kate and I were going those directions anyways, so we made a roadtrip of it. 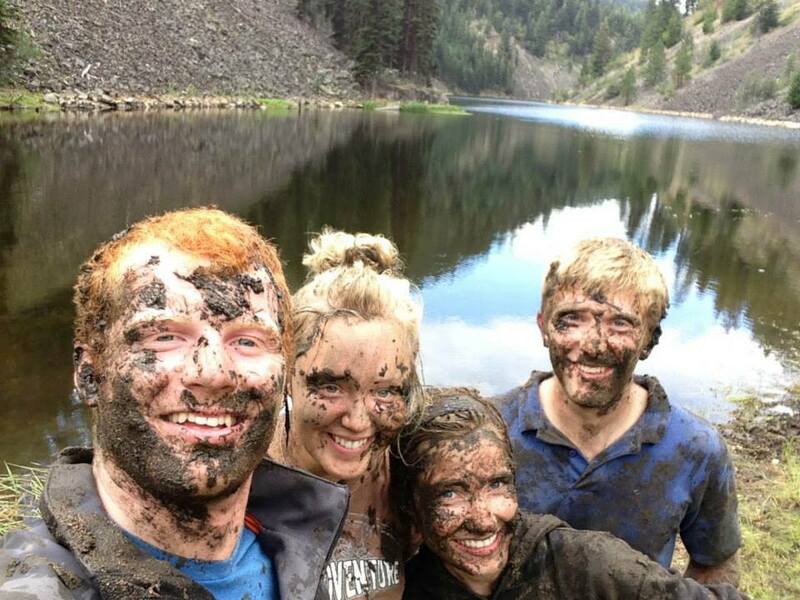 And apparently, no good roadtrip is complete without a trip up to Jamison Lake and a good ol’ mudfight. We tried to behave, we really did! I could see Kate trying to physically restrain herself and limiting her joy to poking in the goop with a stick. She was like a schoolboy in church with scissors in his pocket and two neat, golden braids hanging down in the pew before him. Such a temptation to resist! I remember eyeing up Adam’s jacket and thinking “That just looks too clean…I shouldn’t risk ruining it with mud.” and “They’re from Europe…where things are clean! 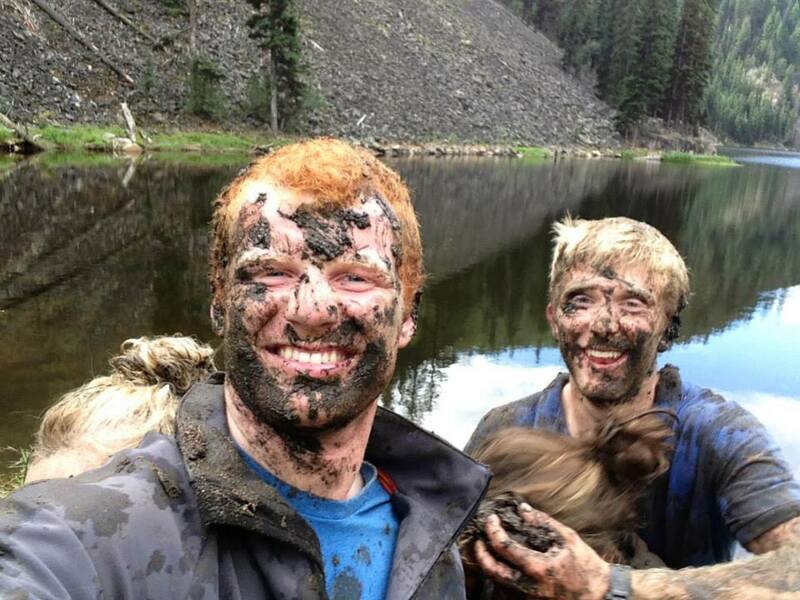 They’d probably never slop a girl with mud.” Once in a lifetime experience? Or simply too barbaric? We put our good behaviour on, and tried not to eye the rich pristine squishiness. Fling! What? Me? Would I ever start such a thing? No… not Anna Brown! Slowed by jeans, hikers, a hoodie and a conscious, I was probably the loser by mud-count, but it was worth the memory. We had a hoot, and then slogged back home in the hot sun to jump in the lake and shower before heading off to the civilized world once again. Grit and duck poop never tasted so delicious.